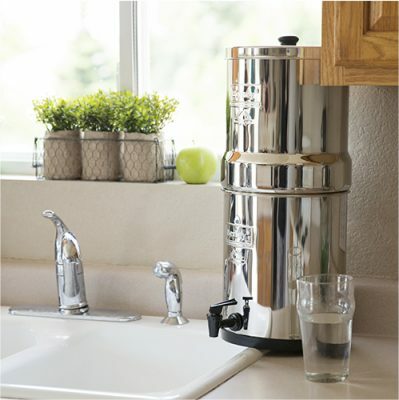 In early January of this year, I received a request from the marketing department of Levoit to try out one of their newest offerings, the model LV110WP water filter pitcher. They sent me a sample, and I tried it out. In this review, you can read about what I learned to help you decide if you want to buy one of these filters. Have you ever wondered if those drinking water tests you do at home are accurate? There are lots of different brands to choose from. How do they compare with each other? Do their results match up with results from a professional lab? Which is the best home water test kit? Pop quiz time: Do you know what the largest organ in the human body is? Congratulations if your answer was "skin"! If you're an average size person, your skin covers an area of about 20 square feet. That big area of skin is able to absorb a lot of impurities. So, you want to be careful about what you expose your skin to on a regular basis. One of the best ways to protect your skin and hair from harmful contaminants like chlorine is by using a shower filter. They're not expensive, they're simple to install, and they can make a huge difference in the way you feel and look. So, you want to invest in a dehydrator, but you're not sure which one is best, right? There are plenty of brands and models to choose from out there, but they're not all the same. You can find lots of different features and a wide range of prices, too.